I’m in San Francisco for the week but I couldn’t leave you without a recipe! The weather hasn’t been perfect but it’s nice to get away from it all and spend some time with my husband. One of the benefits of moving into a smaller home is that it frees up time and funds for trips away. I’ve always talked about downsizing my lifestyle so that I can spend more time on experiences and travel is a big part of that. It’s an opportunity to take in new sights, meet new people and open your eyes to the world around you. 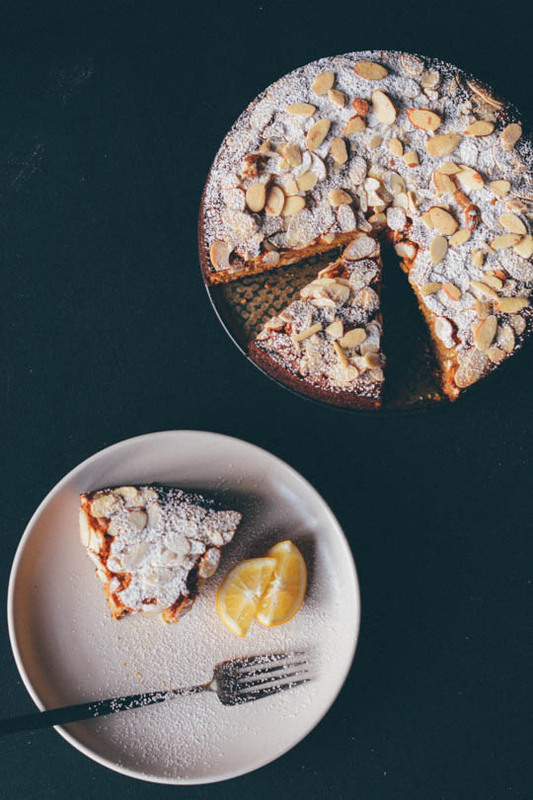 This little Meyer lemon almond cake is healthy enough to eat for breakfast but can easily be dressed up for dessert. I like to serve it simply with a little sprinkle of powdered sugar. I’ve also made a quick sauce with a few cups of frozen berries, cooked down with a little lemon zest and honey. Either way, it’s a great gluten-free cake that you can have ready to pop in the oven in 15 minutes. 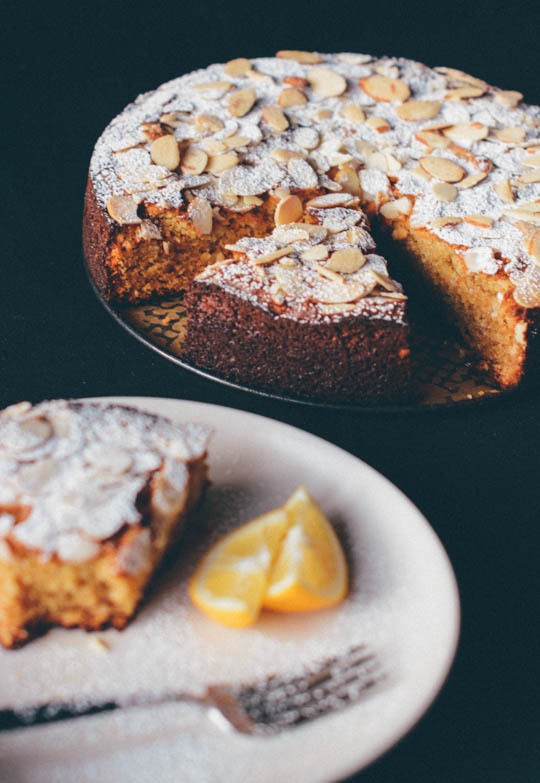 This gluten-free almond cake is lightly sweetened with honey and flavored with sweet meyer lemons. 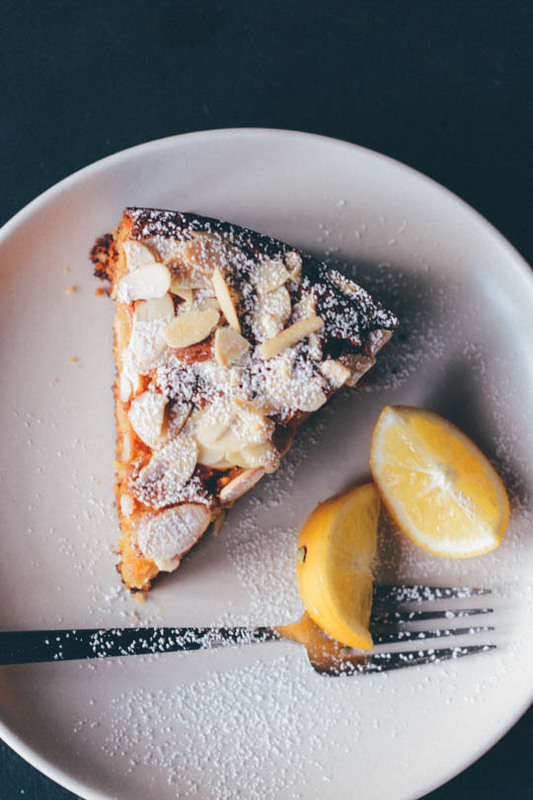 It's simple enough for breakfast but can be dressed up with a little ice cream or some blueberries lightly cooked with honey and lemon peel. Cut a piece of parchment to cover the bottom of an 8-inch springform pan. Oil the bottom and sides of the springform, add the parchment and lightly oil the paper as well. In a large bowl combine the almond meal, cardamom, salt, baking powder and baking soda. Heat the olive or coconut oil and honey in a small saucepan just until warmed through and the honey has dissolved. 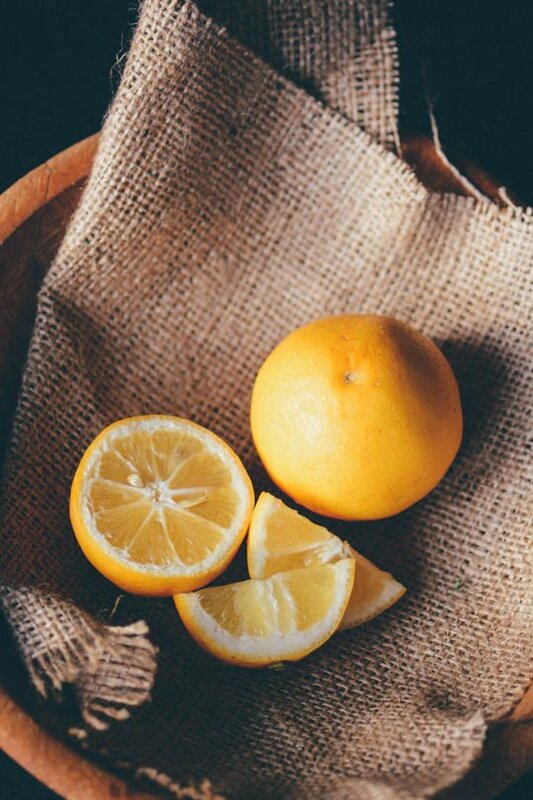 Zest the 2 lemons into the honey/oil mixture along with 3 tablespoons of lemon juice and set aside. Beat the eggs and add to the honey mixture. Fold the flour mixture into the liquid batter in three separate additions and add to the prepared springform pan. 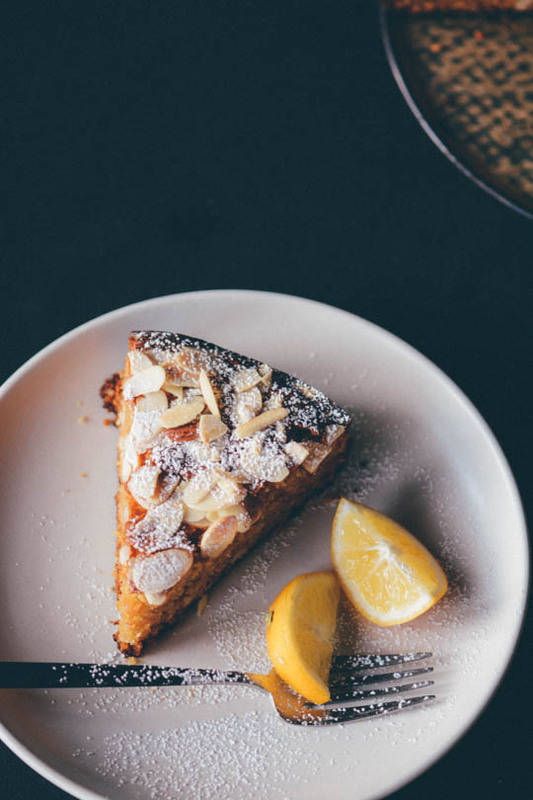 Sprinkle the top of the cake with the ¼ cup of almonds. Bake for 35-40 minutes or until golden brown and a toothpick inserted in the center comes out clean. Cool for 15 minutes and then sift the powdered sugar onto the top to serve. *For a vegan version you can replace the eggs with 3 tablespoons of ground chia seeds mixed with 9 tablespoons of water. Let the mixture sit and gel for 15 minutes before adding to the batter. My cavewoman/lust brain has now taken over- MUST. MAKE. EAT. CAKE. NOW. I hope you like it if you try it. It’s super simple and not too sweet but I think it’s perfect with your morning coffee or tea! 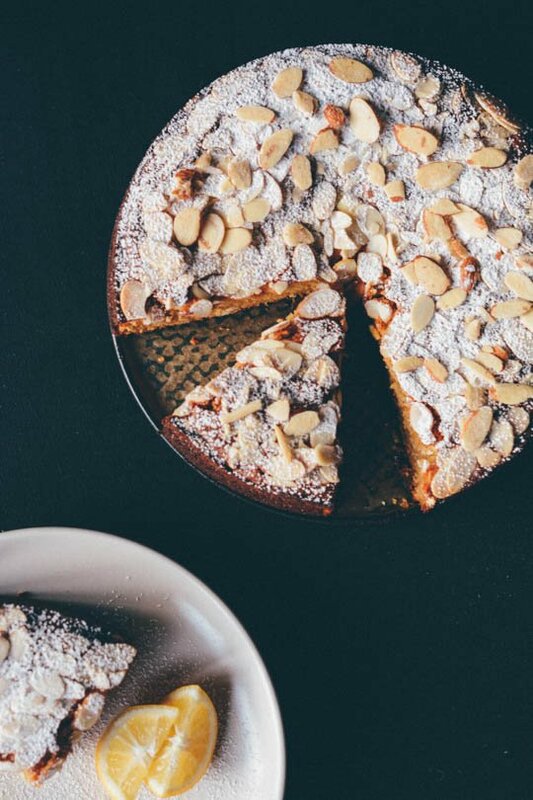 can one use almond meal instead of almond flour? Absolutely. I actually used almond meal for this recipe. If you want a more refined texture you can blitz the almond meal in a high speed blender for a few seconds, just don’t let it go too long or you’ll end up with almond butter! I hope you enjoy it if you give the recipe a try and let me know how it turns out for you! Do you know if this cake saves well? I was wondering about making it a day or two in advance for Thanksgiving. Yes, the cake keeps well for 2-3 days. If you choose to refrigerate it take it out an hour or two before serving, I prefer it at room temperature, especially if you use coconut oil. Since it’s for a special occasion, I would suggest using blanched almond flour or extra-fine almond flour, it will give you a better crumb and texture. Trader Joe’s has a great extra-fine almond flour or you can make your own if you have a high-speed blender. Just process it for 15 seconds or so but not too long or you’ll end up with almond butter. I hope you enjoy it if you give the recipe a try! Yes, the cake will freeze well. To reheat, I’d defrost it overnight in the fridge or you can pop it in the microwave for a minute or so. I hope you enjoy the recipe if you give it a try! I noticed there is not sugar in this recipe. Is it possible to add some sugar? 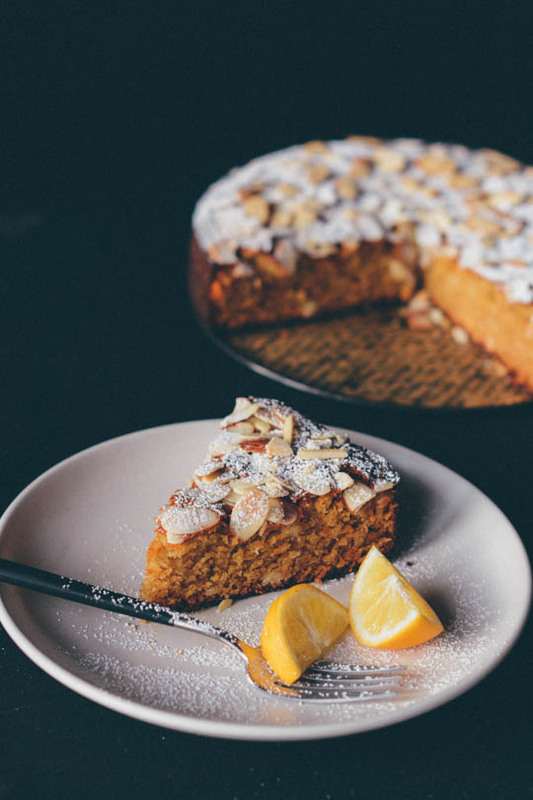 This cake is sweetened with honey so if you would prefer to use sugar, omit the 1/2 cup of honey and replace with an equal amount of sugar instead. I’ve also posted a more updated version of this cake that does call for sugar, you can check it out and see which one suits your needs better. 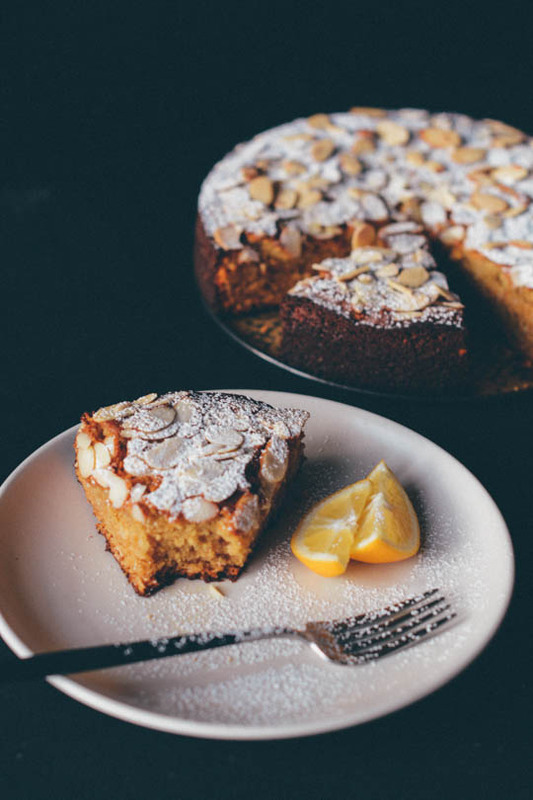 In either cake, you can substitute the lemon for grapefruit or any other citrus you’d like to use. I hope you like it if you give it a try! What a stunning cake! Love it – this recipe is an absolute keeper!